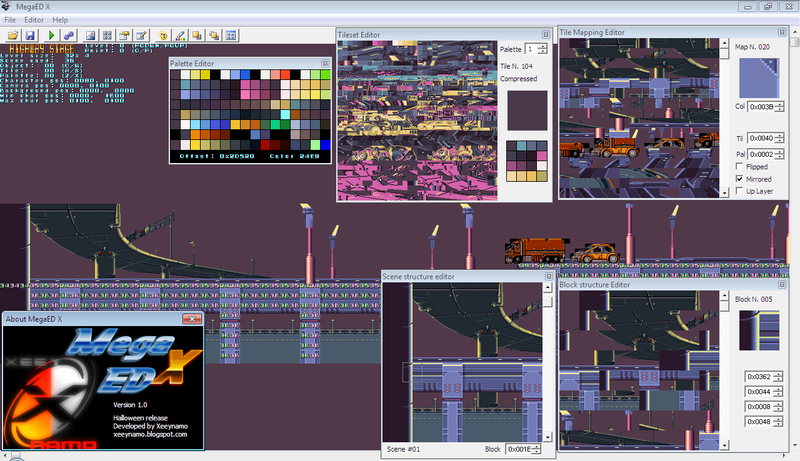 Finally, after a lot of work, I can release the new version of Megaman X Editor: MegaED X! I planned yhe idea to rewrite entirely the editor in C++ on May 2010 but there were so much problems that I decided to stop. On September I decided to resume the works in this editor and after a lot of code lines and internal modules writings, I'm going to release that new version this night ( now is midnight in Italy). 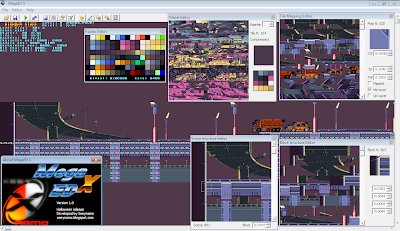 I have disabled some incomplete features (but they are still present in the editor) like the support of MMX2 and MMX3 because they are half-supported (they miss the decompression of tiles :\ but the other things work) and the import tool. This editor is supposed to be executed on WinNT4 and subsequents but I haven't test them yet (I'm a bit lazy :P and I don't want to create a VM with an old OS). There are features that this editor misses like the object editor, layout editor and the tools that I've disabled. EDIT: Some ROMs aren't recognized from MegaED X. This because they have an special header long 512bytes. Simply remove it with an hex editor and the rom will be load. The correct file size is 1.572.864 bytes. I've already fixed this little bug this morning but I'll release the update version with other bugfixs and features later. I tried a 1.1 and 1.0 rom and it told me both were the wrong ROM. Standard for patching is no header. Many programs exist to remove headers. Probably just point to one of those and the issue should be fixed. Just when I thought I would have the time to finish my zelda 3 hack I stumble on an editor to my all time favorite snes game... what a treat! Keep up the good work, I do hope of making an MMX hack sometime!